Before I get off and running with this review (pun intended) there is something I would like to say first. If you have a pair of Hoka Huaka's or are planning on buying a pair, here is the first thing you should do. Take the insoles out, pour lighter fluid on them and then set them on fire. Not the shoes, the insoles. They are useless. Then you should probably replace them (I replaced them with an old pair of Brooks Adrenaline GTS 14 insoles). Being a recovering minimalist runner that still has minimalist tendencies, I have kept a wary eye on Hoka One One's shoes. Also please don't tell me how to pronounce "One One." I've had multiple customers and people tell me how to say it. No one cares. Just say Hoka. For the sake of the sanity of running retail specialists. Please. Anyway. To be honest I have watched Hoka shoes from afar, being a judging as*hole without trying them on. Finally this winter break while helping out at Foot Traffic I tried on a pair of Cliftons and took them for a spin. I actually liked the ride (although a little on the soft side for me) although I was wary of the shoe missing the last eyelet so I could lace lock the shoe. A talk with our Hoka rep Alex convinced me to grab a pair of Huakas hoping that I would like the firmer more responsive ride. Here is my experience after 100 miles. Sole: I actually like the the sole of this shoe. The outsole is great for both trails and the roads alike. Additionally I like the firmer and responsive feel of the midsole. I am not a fan of soft mushy shoes and was a little weary of trying a Hoka. 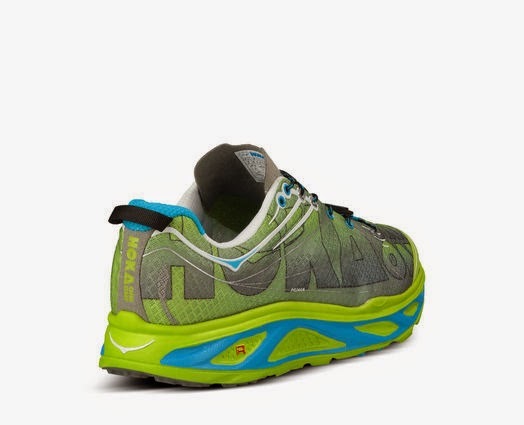 However I chose the Huaka of all the Hokas to try based on the midsole feel being different from the others. I was not disappointed and have used the Huakas for both recovery runs and workouts. It's definitely a protective midsole as my first workout in them was kilometer downhill repeats averaging about 2:36. Any other shoe might have left me with a stress fracture after that, but not only did the shoes leave my legs relatively fresh (relatively is the key phrase here) I was able to keep a pretty good pace down the hill (I have very slow leg turnover and am using these workouts to improve that). That being said the Huaka is NOT a super maximalist shoe. In fact the stack heights are very similar to other traditional training shoes. Additionally, the meta rocker was surprisingly smooth. I was expecting to be forced into toe-off or something crazy since I am normally anti toe-spring, but the ride felt good. Definitely lead to a smooth but more responsive ride thanks to the RMAT midsole. 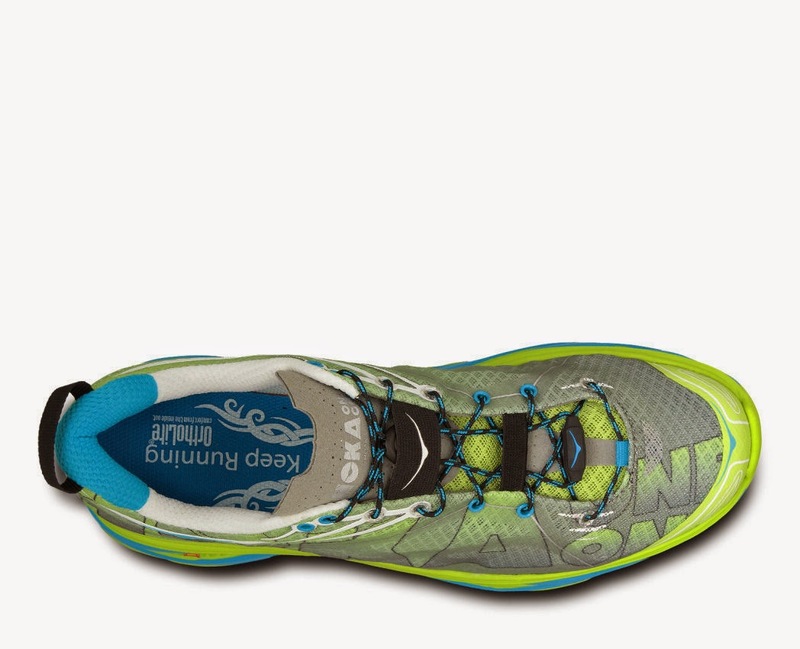 Combined with the lugged outsole, the responsiveness carried over to the trails. The Huaka functions really well as a transitional road/trail shoe thanks especially to the medial forefoot lugs. I took these not only through the dirt and mud of trails but also snow and ice (a large part of the testing of these shoes occurred at Mt. Hood in Oregon). Never did I have an issue with slipping and was able to bomb along most trails with ease. One minor detail I didn't like about the sole was a part of how your foot sinks into the shoe. It felt like the medial (inside) part of both feet were rubbing up against the ridge of the midsole that comes up above where the foot actually sits. All Hoka's do this as it is an attempt to provide stability through having the foot deep in the shoe. I was not bothered by this in the Clifton, but this aspect in the Huaka bothered my left foot for the first few miles. Eventually I got used to it, but it was a little annoying. It's almost like arch support was attempted poorly, but I know that was not the goal. Upper/Fit: Here is what I'm not a fan of. The upper is sub-par. It is relatively unstructured and while there is plenty of room in the toe-box, it tapers too quickly on the 3rd and 4th toe. There is a small but nice heel counter in the rear portion of the upper and it is not obtrusive thanks to some cushioning place there. So the heel area is fine. Midfoot and forward it didn't feel like my foot was being held on the platform very well. I always felt like my foot might even come off the shoes at the times, but luckily it did not. At times I have felt some extra movement in the shoe (namely some sliding), but I luckily have not had any blisters. A little arch wrap might solve this issue. Also I immediately cut off the lock laces and replaced them with the included normal laces. I don't have much experience with those, but I knew I needed that last eyelet to use the special lace lock tying technique to better hold my foot onto the shoe. The lock laces did not give me that opportunity, so I switched them out. 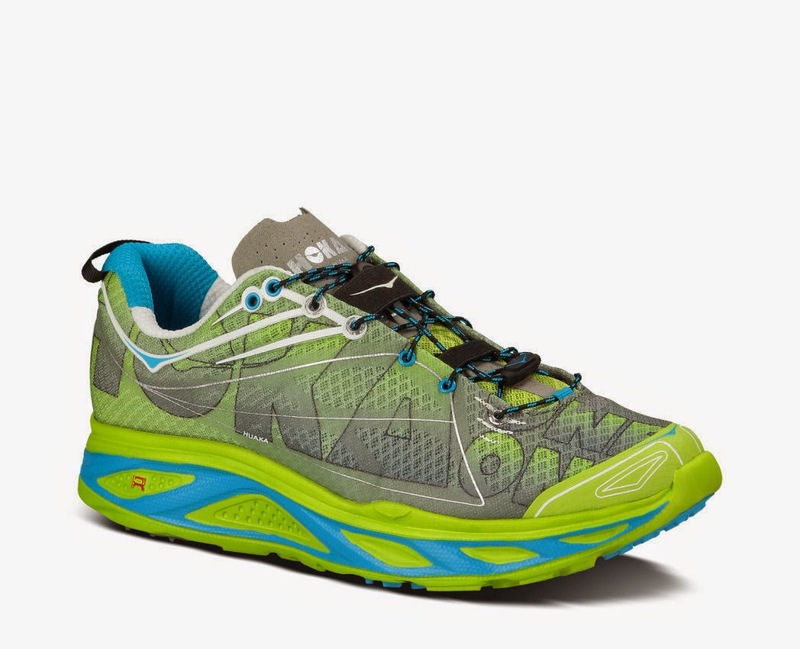 That being said I am curious to try them in a shoe with a bit more structure to the upper (eyeing a few other Hokas and Salomon right now). 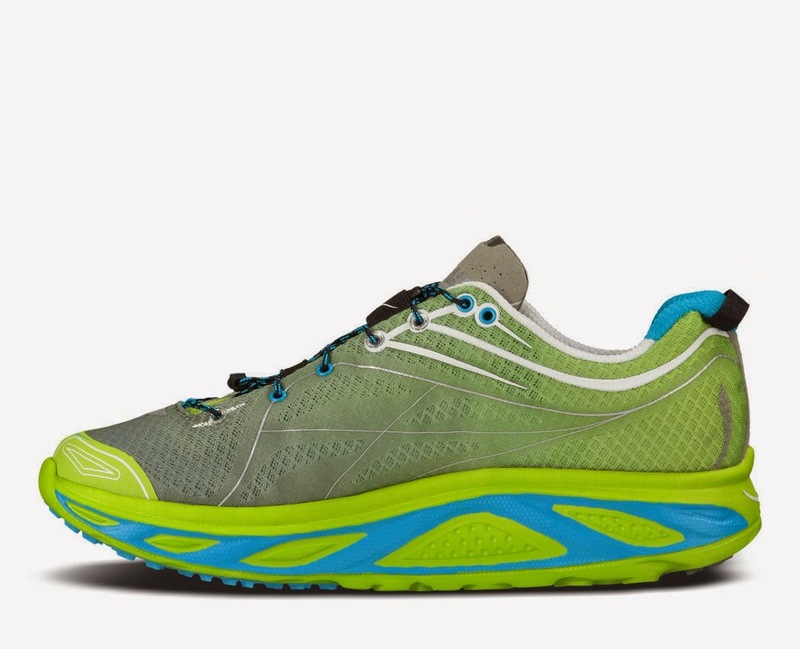 Responsiveness: The Hoka Huaka actually have a good amount of responsiveness and you should not expect a maximally soft ride from them. As I've mentioned earlier, this is not the stereotypical marshmallow Hoka sole (or what I always assume Hokas will feel like). 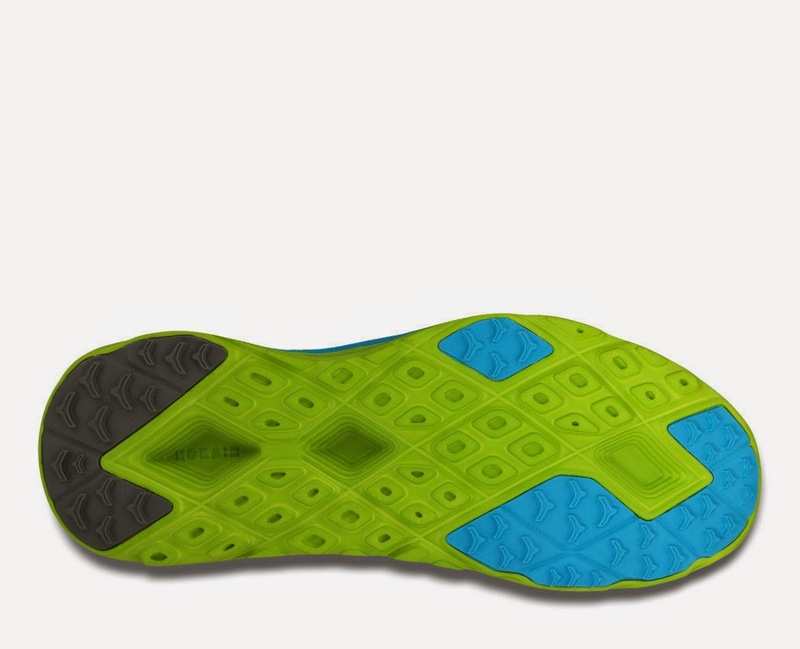 The sole is firmer thanks to the RMAT midsole and responds well when you push it. I was surprised that these worked so well in a variety of workouts from hills, tempos to fartleks. I can definitely understand how Sage Canaday ran a 2:22 marathon at the Carlsbad Marathon. These shoes move when you want them to. Heel-Toe Drop/Ramp: The listed drop of this shoe is anywhere from 2-4mm and that's exactly how they feel. Definitely a low drop shoe, but not a zero drop shoe. Durability: After 100 miles, I am seeing much less wear than I expected. Some of the lugs are wearing down a bit, but for the most part the outsole is doing pretty good. I do think it helps that I've used these a little more on trails. The upper doesn't seem to be fraying at all and the ride seems about the same. So far so good! Weight: 8-9 ounces is the perfect weight for a trainer in my mind. The Huaka fits in there perfectly around 9ish ounces (9.3oz for size 9 according to Hoka). Never once did I feel like the shoe was heavy or clunky. This is not a shoe I would use as a 5k-half marathon race shoe, but at that weight with the protection and ride that it provides, I definitely understand it being used as an ultra marathon racing shoe. Thoughts as a DPT (Student): Do I think there is a place for Hoka shoes in the medical area? Yes. Running in them gave me a few ideas for certain populations with certain foot/lower extremity issues that I have seen. For a patient that lacks range of motion in the foot/ankle and has poor shock absorbing capabilities, you can't ask for more. The Meta Rocker/early toe spring and curved heel are great for those who lack ankle dorsiflexion and big toe extension (really important for appropriately timed heel rise). The higher cushioning is great for this patient, but you have to work on hip stability because a more cushioned ride is a more unstable ride. This is why most good stability shoes are firm and why I felt that the Brooks Transcend was so unstable despite the marketing of it as a stability shoe. 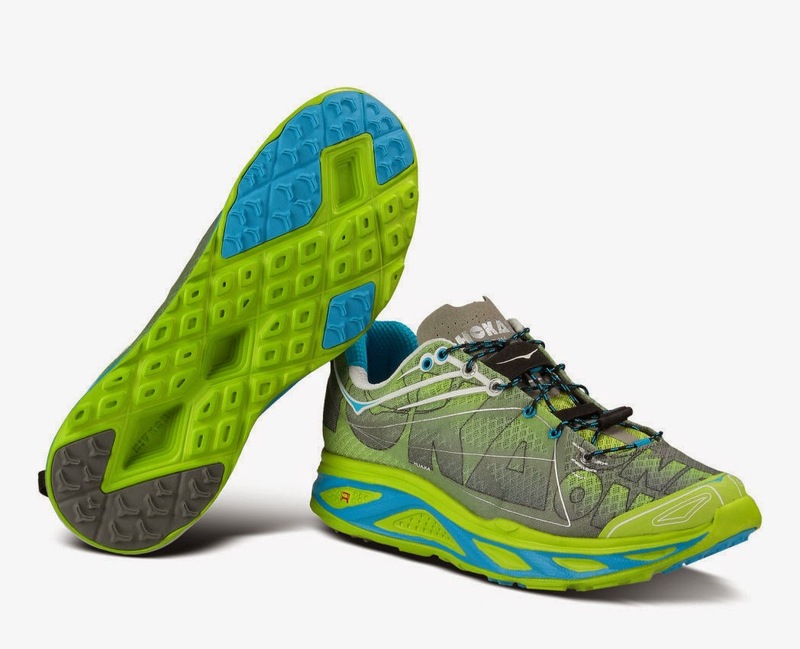 Base on this, I am very curious for the Hoka Constant, their first stability shoe to come out. I am interested to see how they balance cushioning with stability. In terms of the Hoka Huaka, the firmness of the midsole does contribute to a more stable ride that I really enjoyed. The Clifton that I tried was nice, but the softer midsole did make it a bit more unstable. 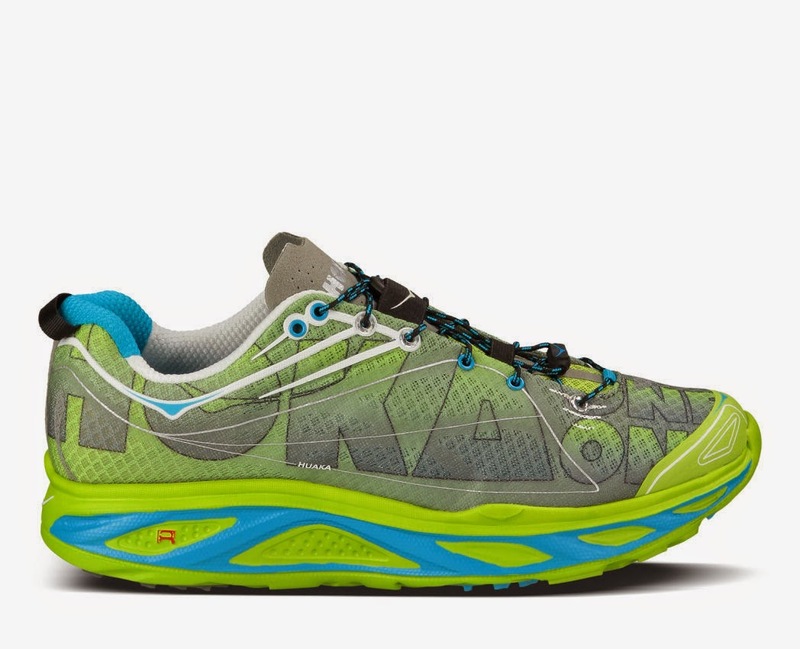 Final Thoughts: My final verdict on the Hoka Huaka is that it has the potential to be a fantastic, top notch road/trail ultra distance racer/trainer with some minor tweaks. If the upper structure/fit and the mild midsole ridge are addressed in version 2, this shoe will be back on my feet full time. For the moment I have delegated the Huaka to trail running duties thanks to the great sole and minor lugs. Being someone who has worked in running retail for some time and is extremely picky about his shoes, I can be a bit harsh at times. I do enjoy running in the Hoka Huaka, but as I mentioned, there needs to be a few more tweaks before it is a really solid trainer in my book. However, these shoes have opened my eyes to the Hoka One One brand and I am now following them to see where they go. I wish them the best of luck and in the near future I will be taking a look at the Hoka Odyssey (Clifton with a better upper and last eyelets) and the Constant. Interesting things on the horizon! I at least urge you to try a pair of these on as the ride is good and you might like the unstructured upper. These shoes were a personal purchase although heavily discounted thanks to our Hoka rep Alex. I put at least 100 miles on every pair of shoes before I review them (except racing flats which I put on at least 50 miles). Currently I have 104 miles on my pair. *Images obtained from the Hoka One One Website. Please go down to your local running retailer to check them out!